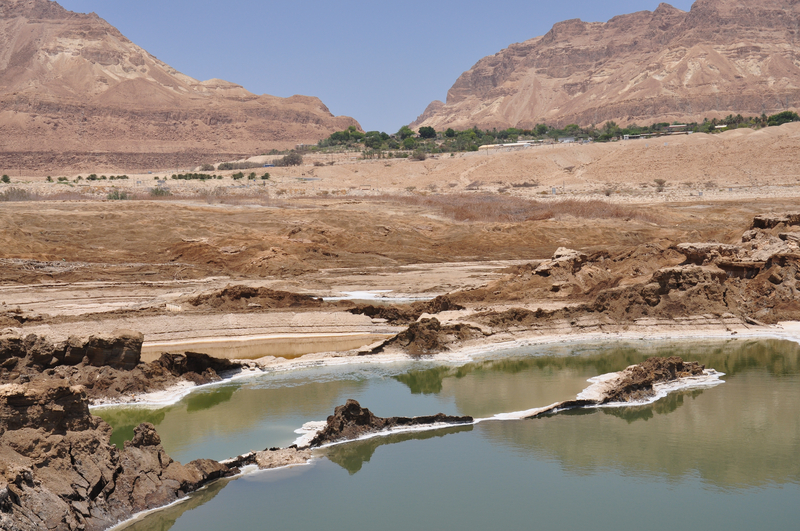 You might be wondering if this photo was shot on a different planet but in fact it is in Israel (like all these photos), a shot of sinkholes on the shore of the Dead Sea with the cliffs above En Gedi in the background. You can click on the image for a larger view (which may take some time to load depending on your Internet connection). Please share this post with your friends by clicking on the icons at the end of this message. The technical details – the photo was taken with a Nikon D90 (digital SLR) camera with a Nikon 18-70mm lens on July 2 (ISO 200, 29mm, F11 at 1/400 sec). For more information about the Dead Sea check out my post at https://israeltours.wordpress.com/2009/10/28/dead-sea/.